It is important to have your finger sized by a professional jeweller prior to ordering or purchasing any ring. While some rings can be easily sized, rings with patterns or designs encompassing the entire band may be difficult to resize without destroying the original beauty of the ring. When choosing the proper ring size, keep these things in mind. The ring should fit snugly on your finger but not so tight as to leave an indentation when removed. The ring needs to slide easily over your knuckle to ensure it will not get stuck. It is best not to determine your ring size when your hands are cold- this causes your fingers to “shrink” and may affect the fit when your hands are warm and appear “swollen”. 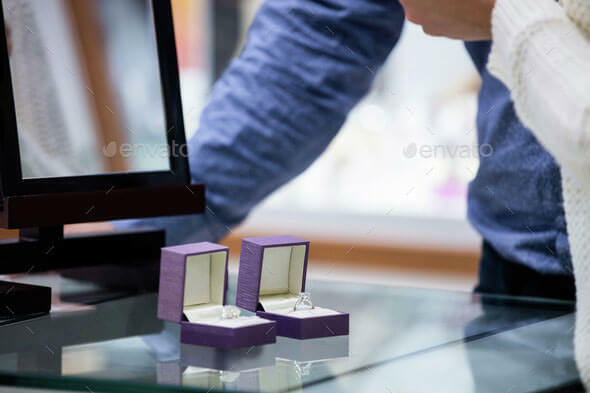 If you are ordering a custom piece for a loved one, be sure to know his or her accurate ring size to avoid delays in the creation of your piece.